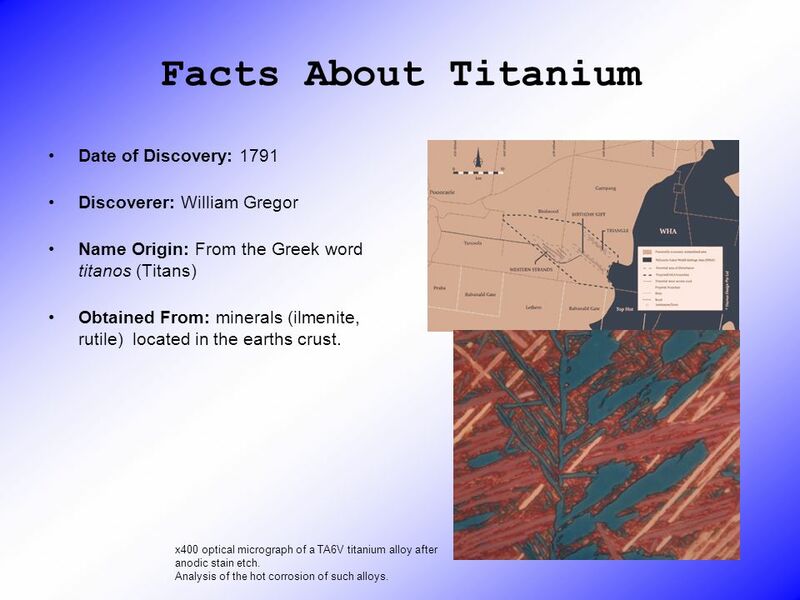 Discoverer: William Gregor Name Origin: From the Greek word titanos (Titans) Obtained From: minerals (ilmenite, rutile) located in the earths crust. 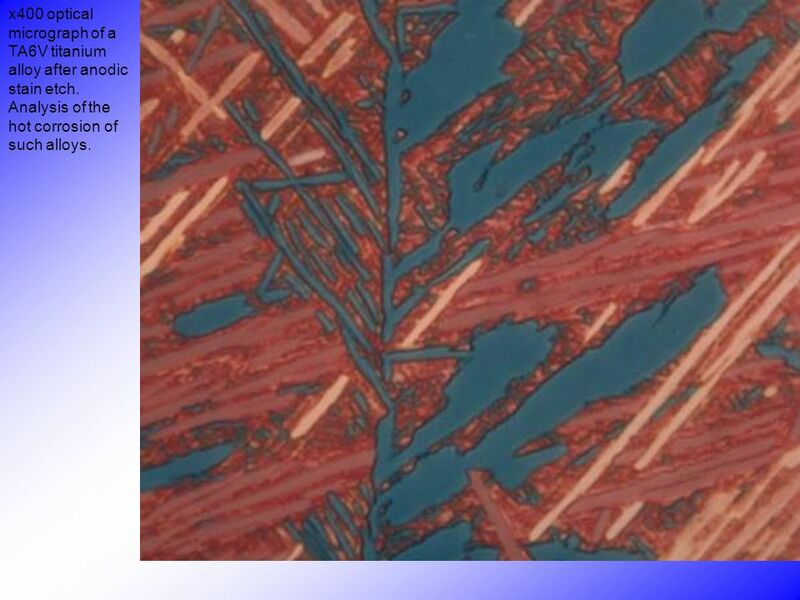 x400 optical micrograph of a TA6V titanium alloy after anodic stain etch. Analysis of the hot corrosion of such alloys. 6 x400 optical micrograph of a TA6V titanium alloy after anodic stain etch. 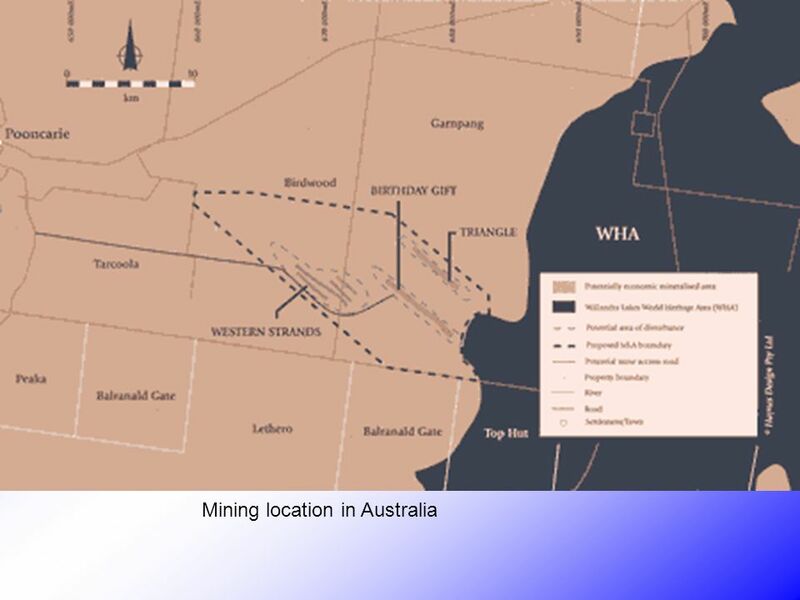 Analysis of the hot corrosion of such alloys. 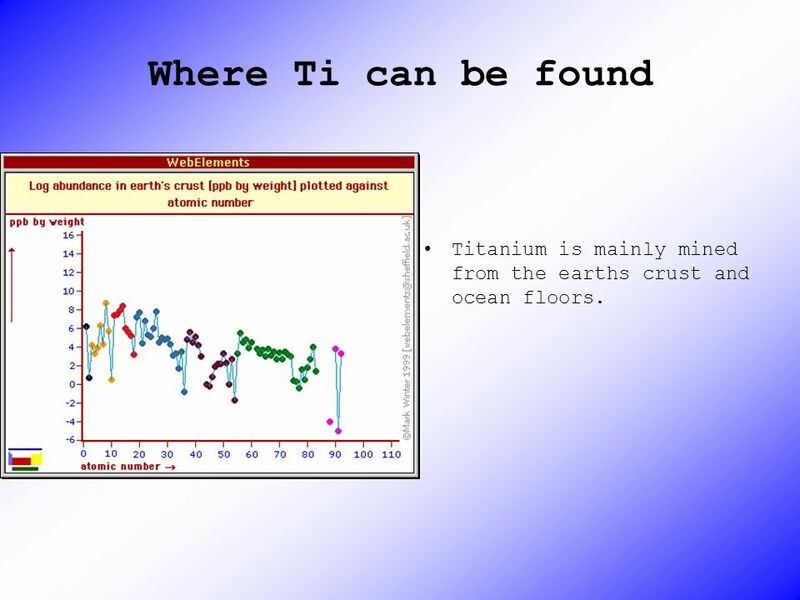 10 Where Ti can be found Titanium is mainly mined from the earths crust and ocean floors. 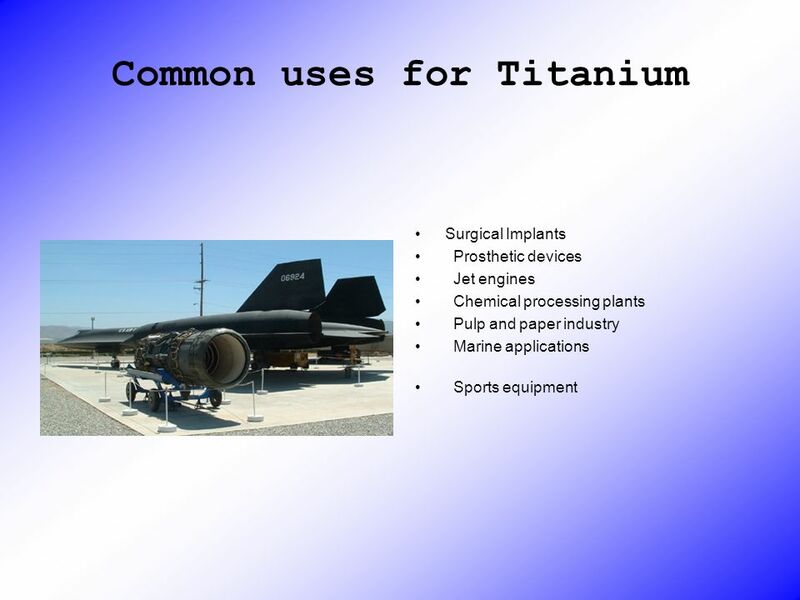 Download ppt "A Project on Titantium(Ti)"
com Steel-Gray, Lustrous, Hard Metal with a high polish High Melting Point, Solid Good conductor of Thermal and Electrical Energy. 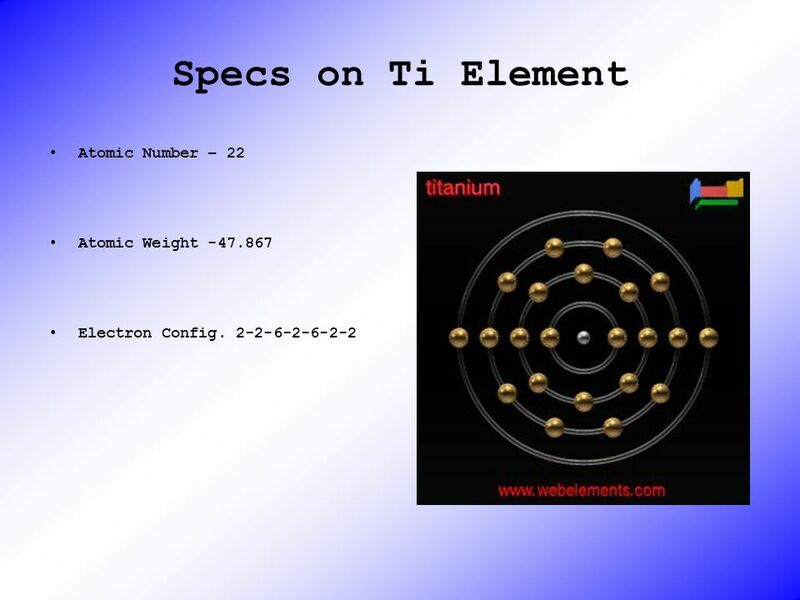  WebElements Periodic Table of the Elements WebElements Periodic Table of the Elements. 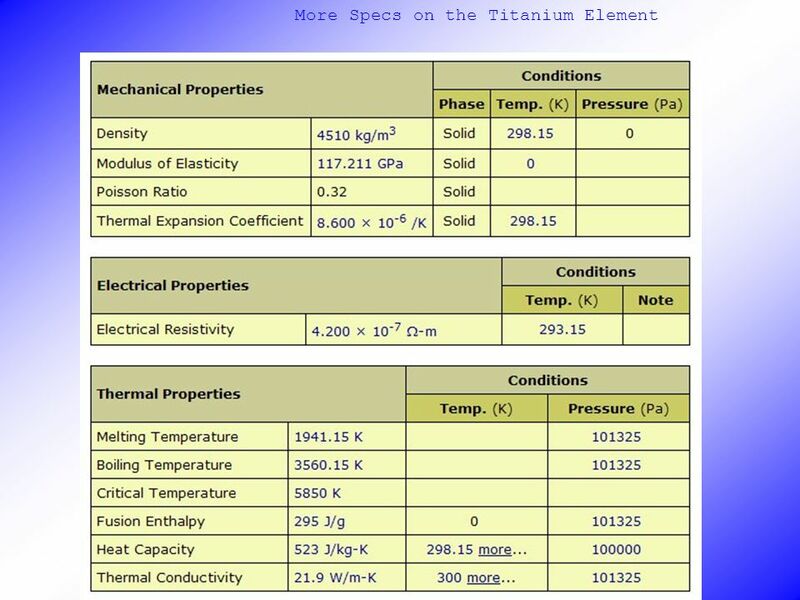 By: Chayse Physical Properties *Osmium's phase is a solid. *Density is *Melting Point is 3306 K *Boiling Point. Christian M. Lawrence 7.1 #5 Titanium Dioxide Native Titanium. 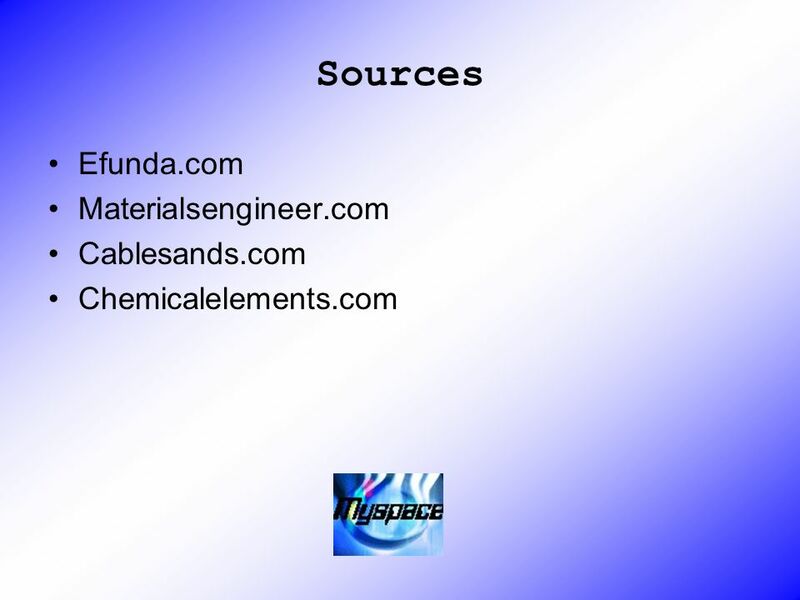 By: Adam Physical Properties color- silverish Classification-metal very hard Is conductive state-solid. Caldwell Miller A-period. 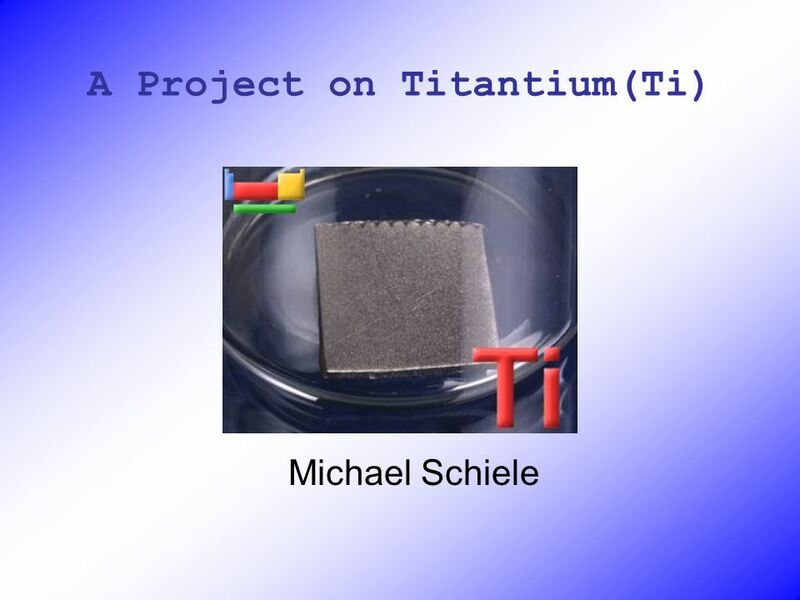 Major Group: Transition Metal Density: 4.5 grams per cubic centimeter. Reactivity: Tends not to be reactive. Magnetivity: Paramagnetic. Calcium Hydrogen Copper Nickel Chlorine Helium Oxygen Iron Iodine Arsenic. a. Click on this Periodic Table Link PERIODIC TABLE LINK b. 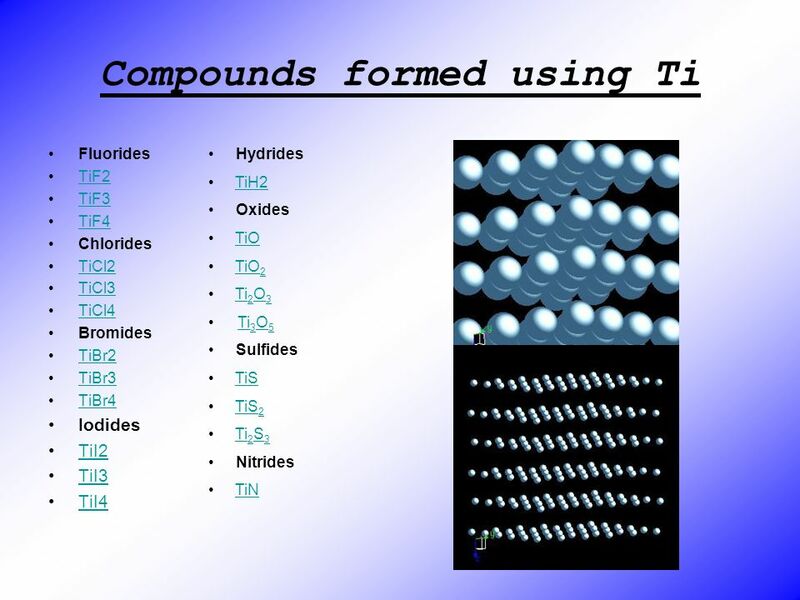 Pick 4 elements you want to learn about… list them here c. You will place information. Bria Bowie By: Period:6. 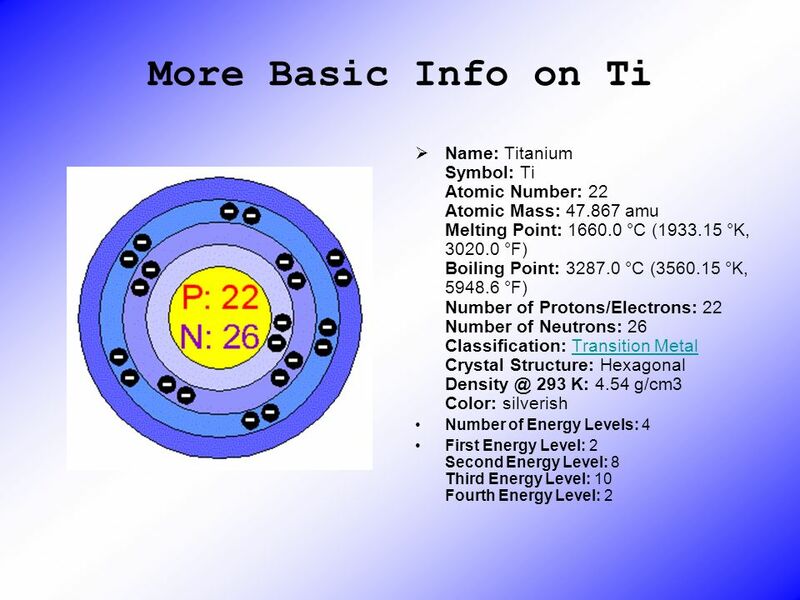 Basic Information Symbol: K Atomic Number:19 Atomic Mass:39.10 Boiling Point: 1032K Melting Point: 336.53K Density: 0.89 grams.